Can you believe we’re already through 20% of the MLB regular season? I figured now would be a great time to take a look at the update MLB futures odds. 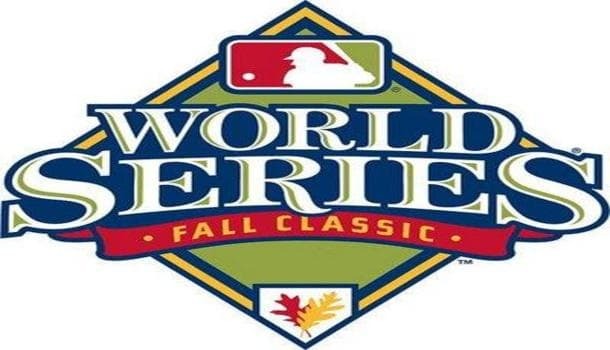 We’re going to take a look at the best bets to win the World Series, plus the AL and NL pennants. So, who have been the big movers since Opening Day 2015? The New York Yankees (21-13) are 3.0 games ahead of the Rays for the lead in the AL East. The Yankees rank 4th in runs per game (4.85) and 5th in team ERA (3.29). The Yankees also rank 3rd in home runs (43) and the pitchers rank 1st in strikeouts (294). This is a team getting it done at the plate and on the mound. The Yankees were 33/1 to win the World Series and now they’re 16/1 at Bovada. How about the Houston Astros (20-12)? They sit 1st in the AL West and have steamed in from 50/1 to 20/1 at BetOnline. Houston has knocked out 45 HR’s (2nd), but they only rank 14th in runs per game (4.38). The Stros’ also rank 8th in team ERA (3.45). Will Houston or the Yankees be able to hold onto their respective divisions in the AL? You can bet on the Astros to win the AL West at 3/2 (GTBets) or the Yankees to win the AL East at 9/5 (GTBets). The Kansas City Royals (20-12) and Detroit Tigers (19-13) are fighting it out in the AL Central. The Royals are 15/2 (BetOnline) to win the World Series, in from 33/1, while the Tigers are 19/2 (BetOnline), in from 16/1 on Opening Day. Down in the National League – the St. Louis Cardinals (23-9) lead the NL Central and have the best record in MLB. St. Louis ranks 10th in runs per game (4.58) and 1st in ERA (2.75). The Cardinals pitching staff and bullpen are excellent, but they may need to pick up a bat before the deadline, as the current line-up lacks power (23 HR’s – 26th). The Cardinals are 9/1 (TopBet) to win the World Series, in from 12/1 on Opening Day. The New York Mets (20-12) lead the NL East, but they’ve cooled down lately (5-5 in L10). The Mets are 14/1 (Bovada) to win the World Series and 5/2 (GTBets) to win the division. It took a few weeks, but the Los Angeles Dodgers (21-10) appear to be the class of the NL West. They have won four games in a row and have an incredible 14-2 record at home. The Dodgers rank 2nd in runs per game (5.13) and 4th in team ERA (3.20). L.A. Dodgers are also leading the majors in home runs (49). If you want to load up on a safe futures bet – take the Dodgers to win the NL West at 2/7 (GTBets). You can also get the Dodgers at 13/2 (TopBet) to win the World Series – the Dodgers are the current favorites. The Washington Nationals (18-15) are 2nd in the NL East and on an 8-2 run. The Nats were 6/1 favorites to win the World Series on Opening Day, but they’re drifted out to 9/1 (Bovada). The Nats rank 9th in runs per game (4.61) and 7th in ERA (3.40). Toronto (17-17) are a wildcard again this year. They’re paying 4/1 (GTBets) to win the AL East and are only four games out. The Jays are ranked 1st in runs per game (5.27) and 6th in HR’s (37), but the pitching has been terrible and they rank 27th in ERA (4.62). If the Blue Jays can improve on the mound, this team has the talent to steal the AL East.